Today I have had a lot of fun. 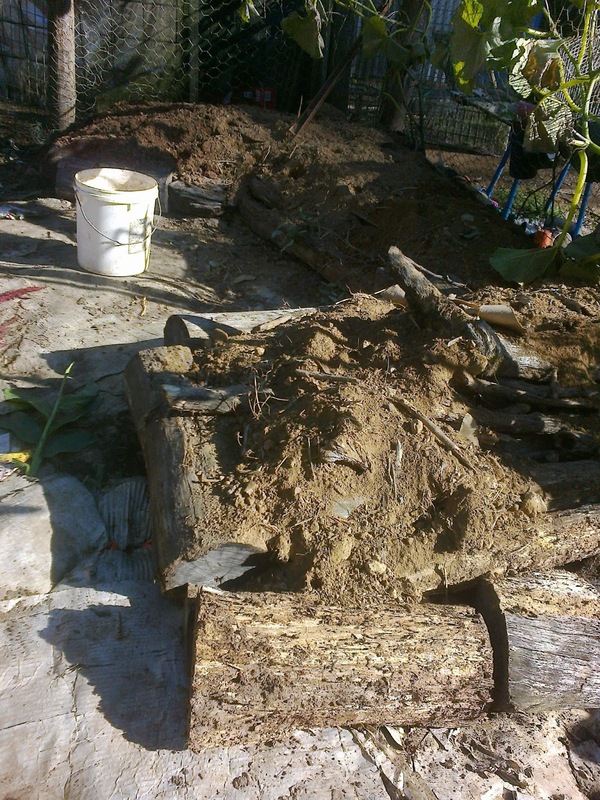 My daughter and I dug some more soil from the future toilet pit to finish off the stage one hugelkultur bed. You can see from the photo how rich the soil is down near the dam. 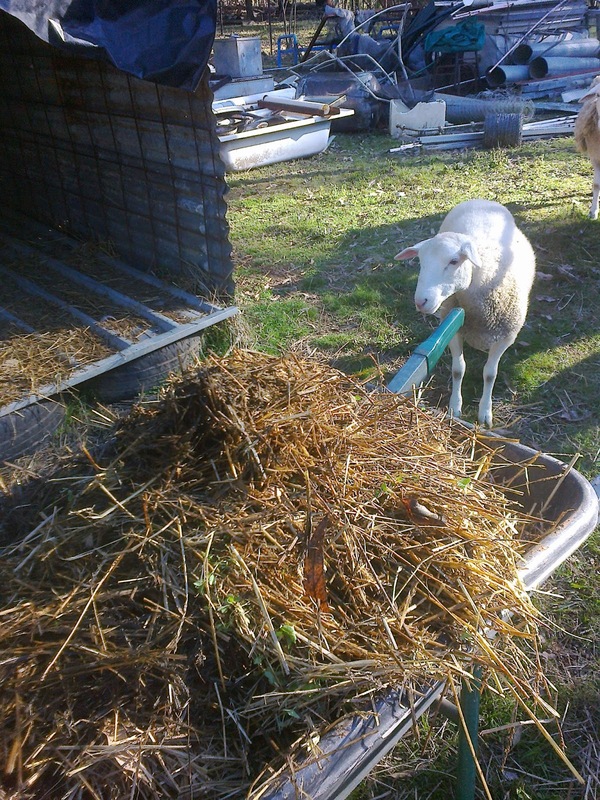 Then we spent a while cleaning old straw (well, compost now) out of the sheep shelter, much to the amazement and delight of the sheep. 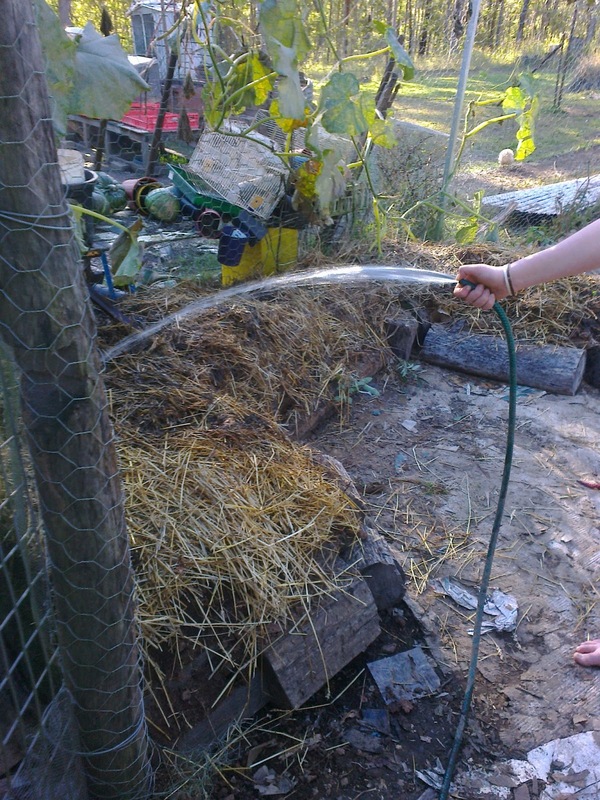 This became the mulch for our new bed, and the whole lot was watered in well. 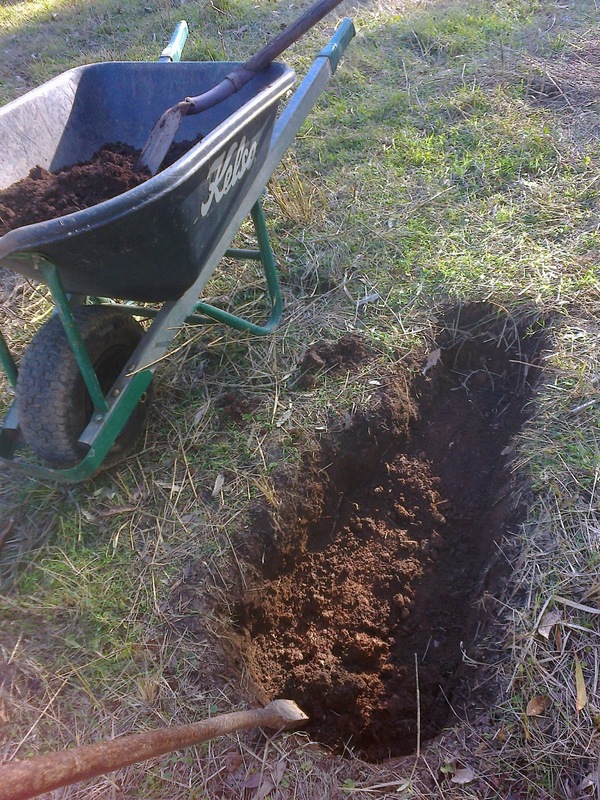 Tomorrow I will spread blood and bone and then let the planting begin!! 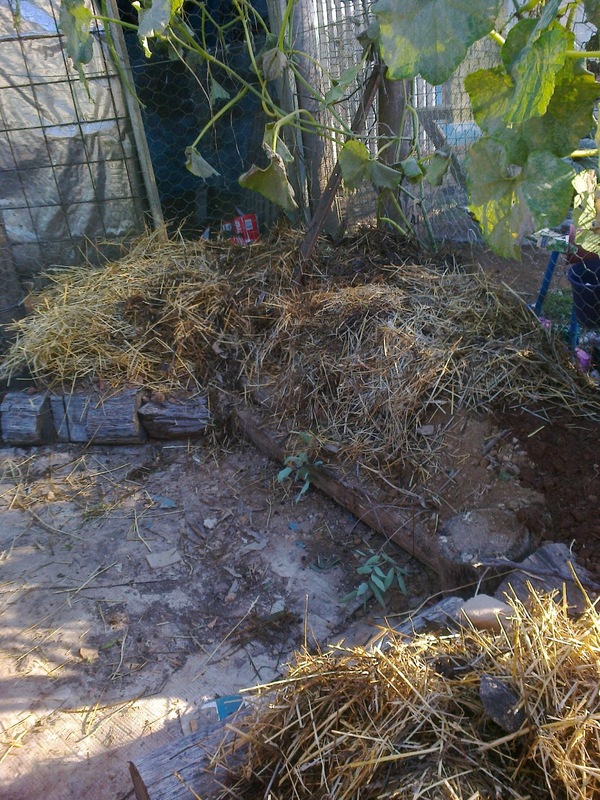 Then its on to stage two; build another bed next to that one and so on until the chook runs are full.